Franklin dreams of becoming a doctor one day and is the first to help anyone who gets injured here. He always knows what’s best! He loves learning and is always one of the top in his class. 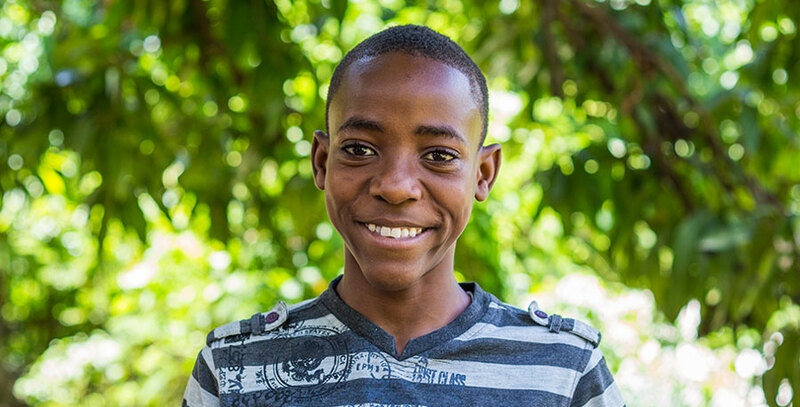 He would love to go to University in Port au Prince one day and remain in Haiti to be a doctor. He wants to help his own people. He likes to attend church because he believes that is where the breath of life is found, in God! He also really enjoys having the missionary visitors here in the summer because it’s a lot of fun for him to meet new friends and see the ones from past summers. Lastly, he would like you to know that he’s a great soccer player and plays for the school team! He’s really funny and is always making people laugh. His best friend here is Mackenson and they are always together like brothers.